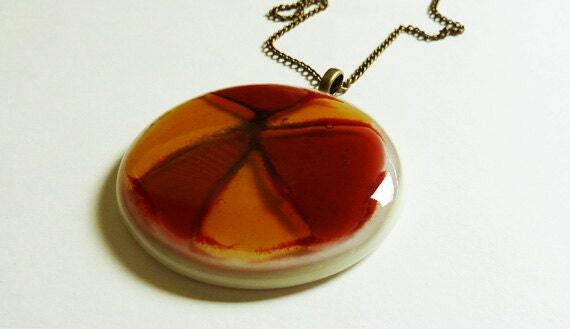 This is a gorgeous, big, chunky pendant, with a big, bold design. 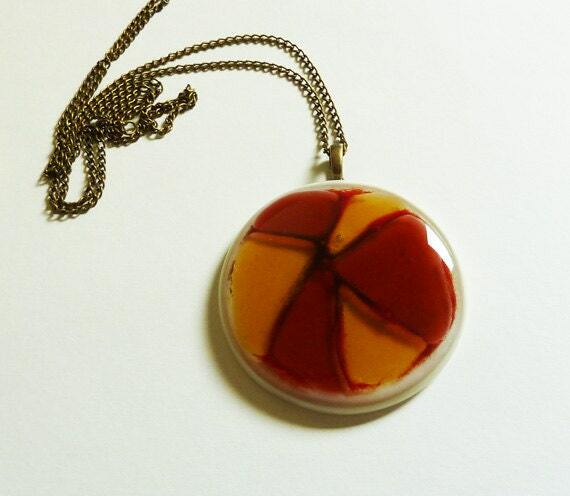 It has an opaque cream background, and a transparent pattern of clear glass, reds, amber, and brown overlaying it. It's about 63mm across, and hangs on a bronze metal bail, and a 36 inch bronze metal chain.